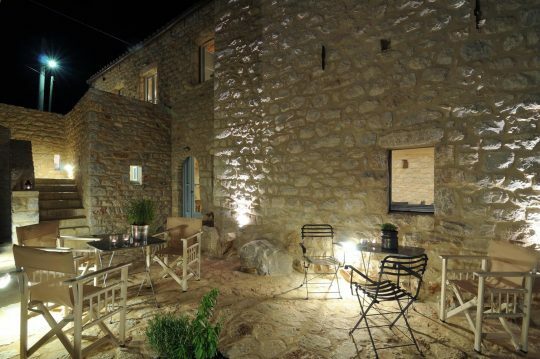 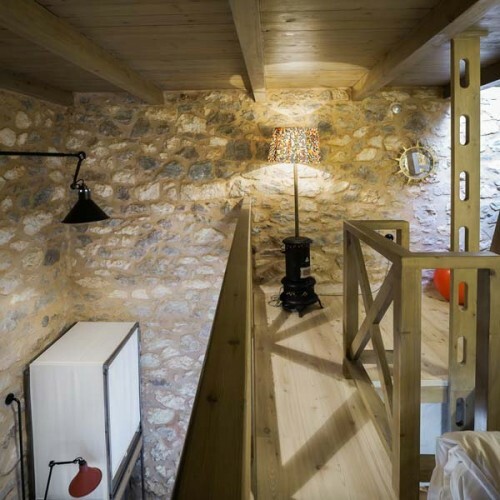 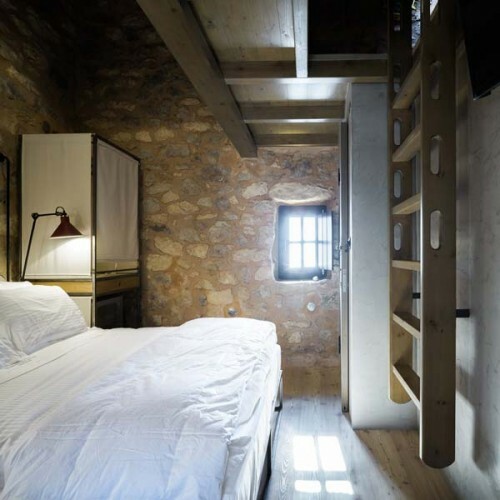 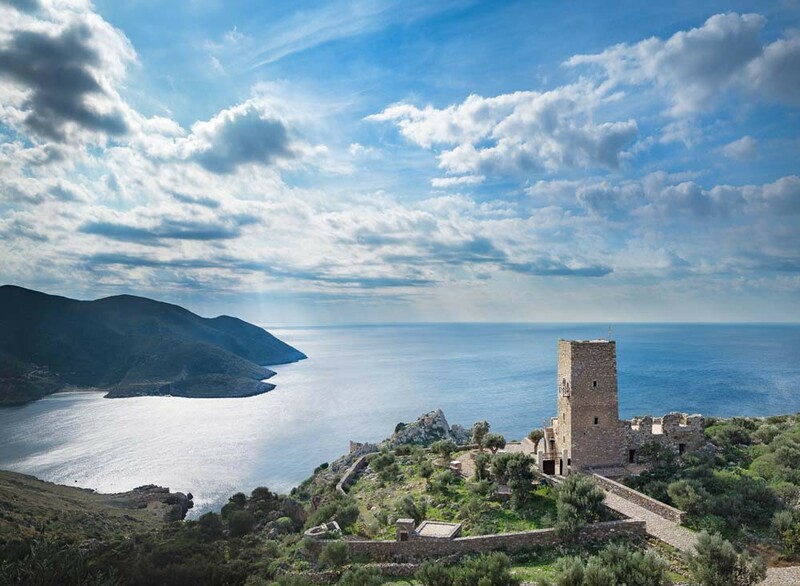 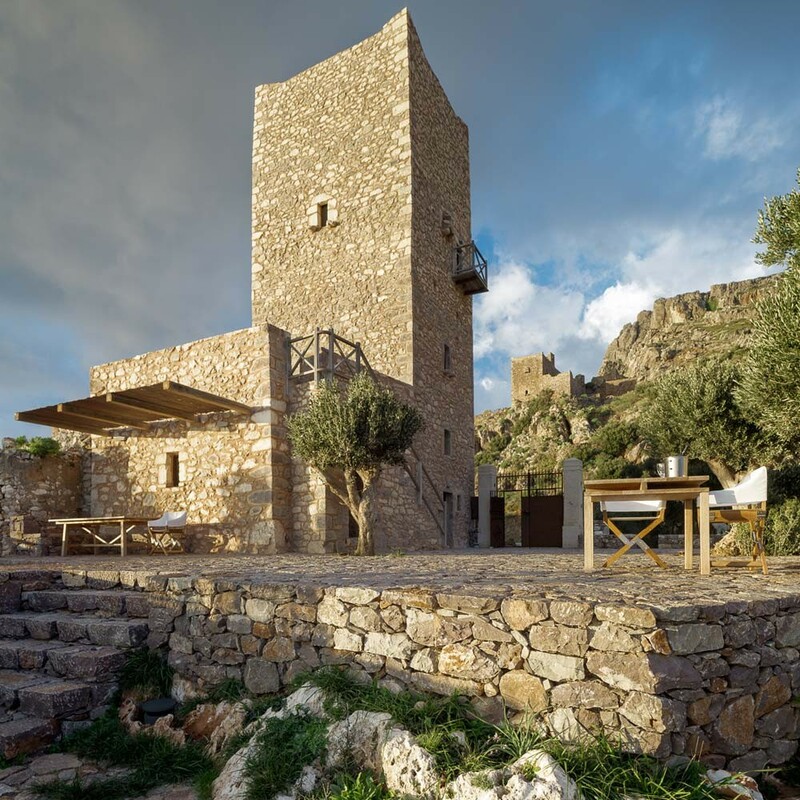 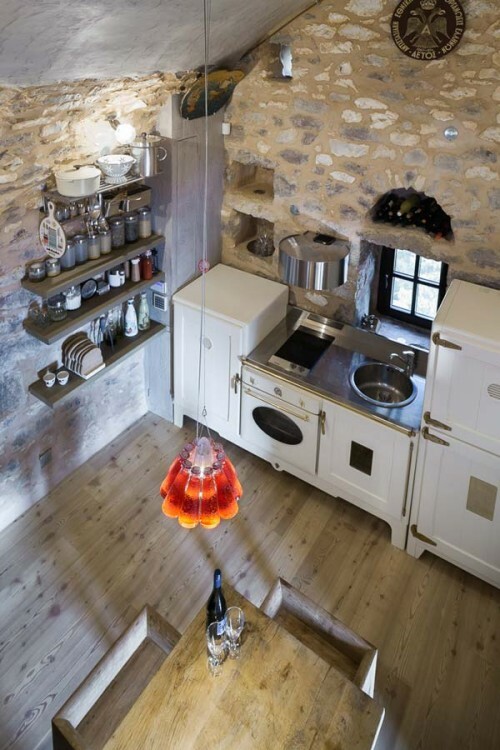 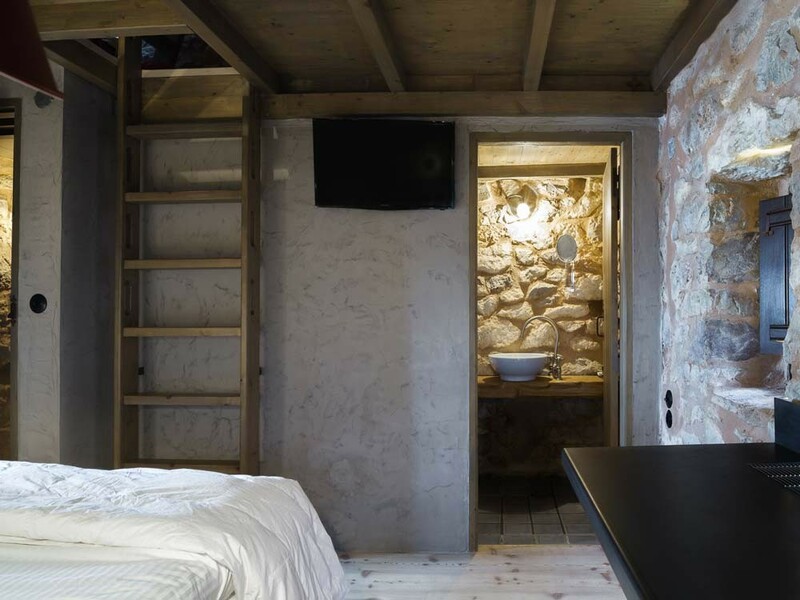 The renovation of this traditional tower in Mani, Peloponnese resulted to a unified set of buildings with a strong and unique character that respects the surrounding landscape and traditional architecture. 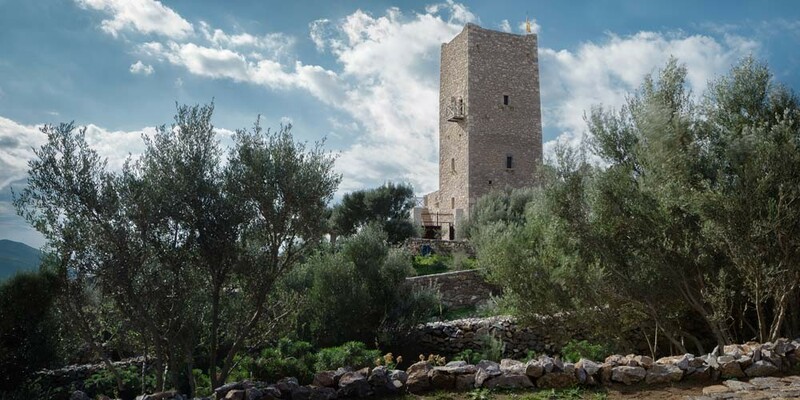 The towers, these imposing tall and narrow prisms, are the most prevailing and defining characteristic of a Mani building. 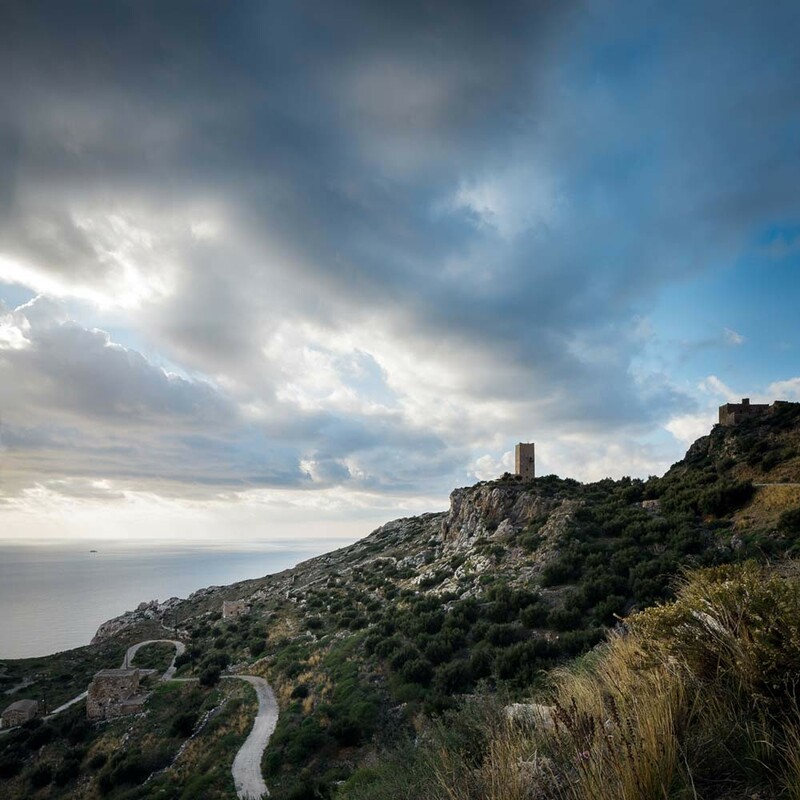 Located on the outskirts of the settlements, the so-called ‘xemonia’ were erected in order to protect or expand the enclosed land. 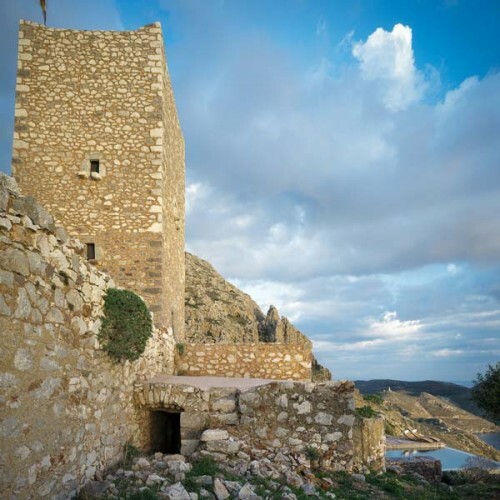 They served to control and keep out the enemies, but also to connect the main settlement to new territories. 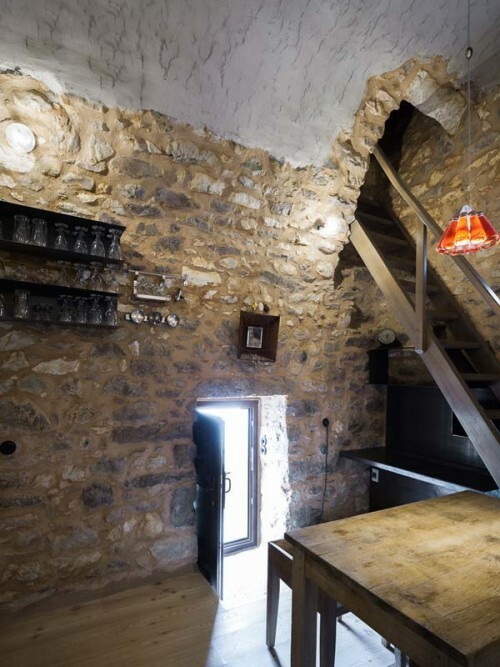 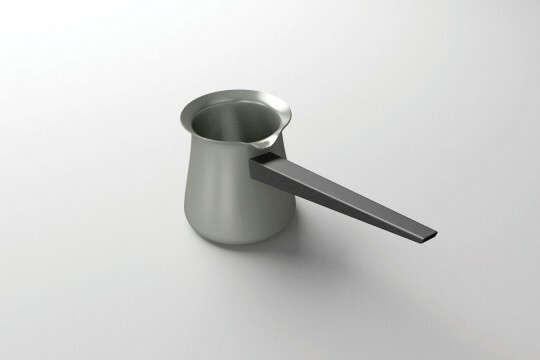 The Tainaron Blue Retreat is a typical example of a traditional xemonia in South Greece. 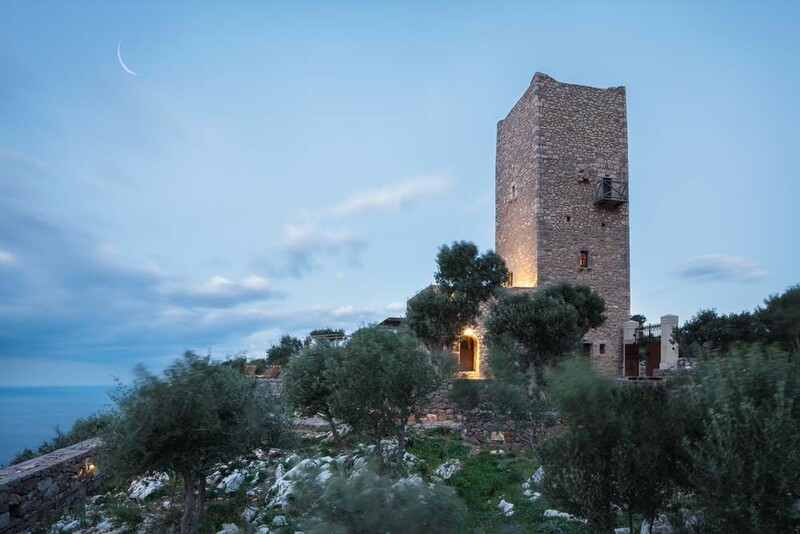 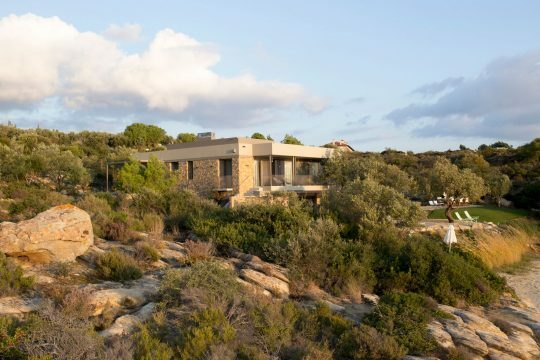 The tower – now transformed into a small guest house – is built on solid ground and rocks known as ‘rizomies’, at a strategic spot that offers an amazing view of the sea and the surrounding landscape. 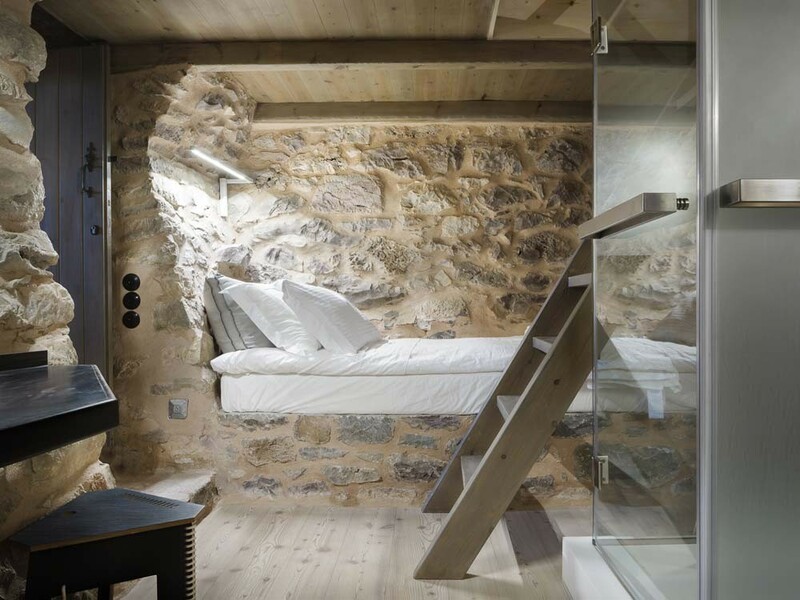 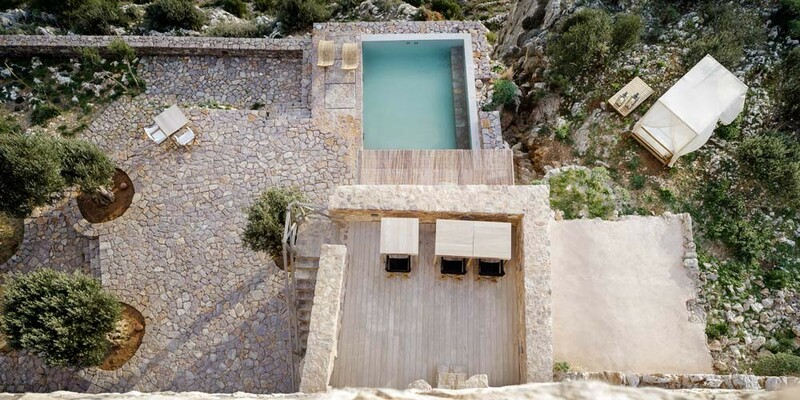 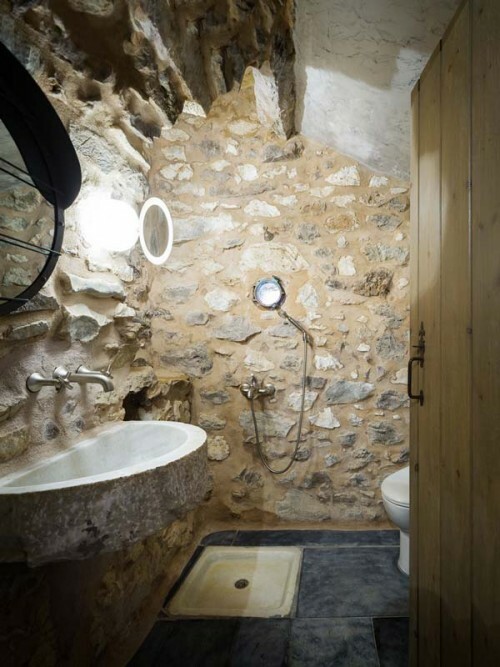 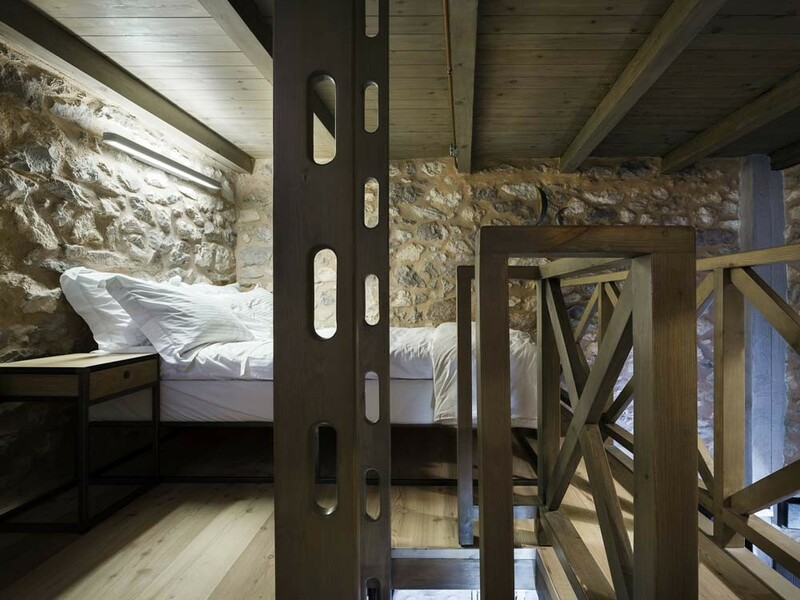 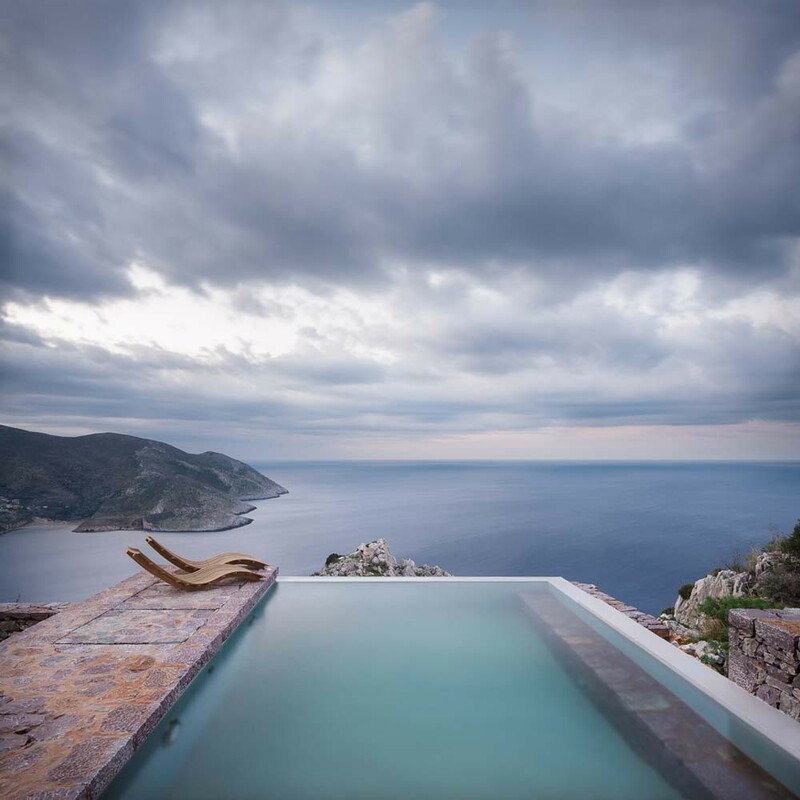 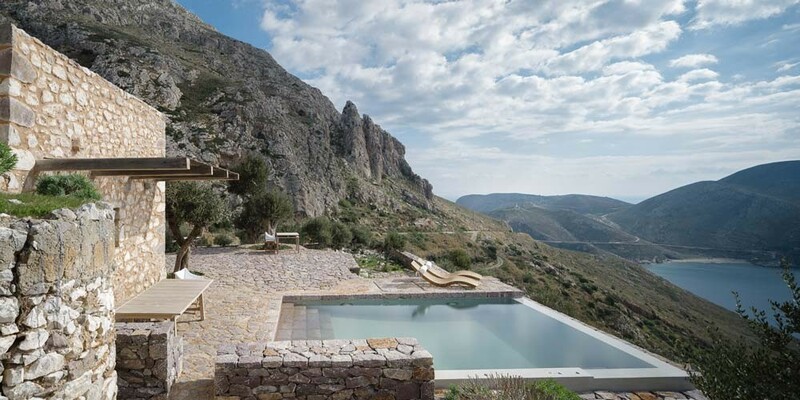 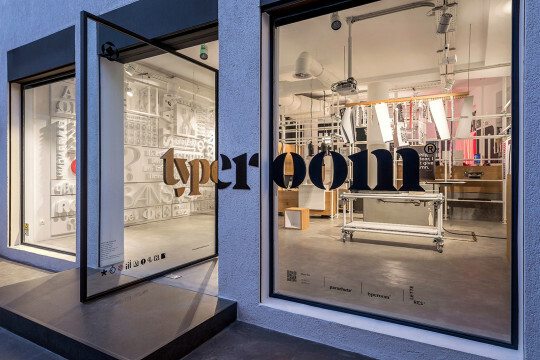 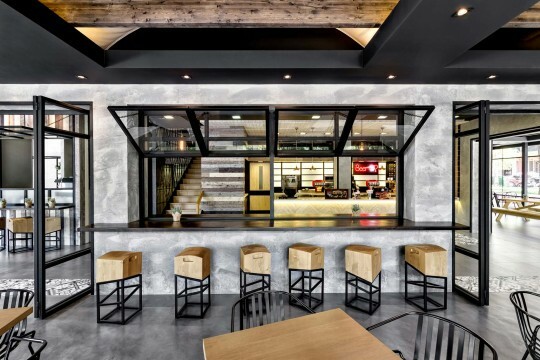 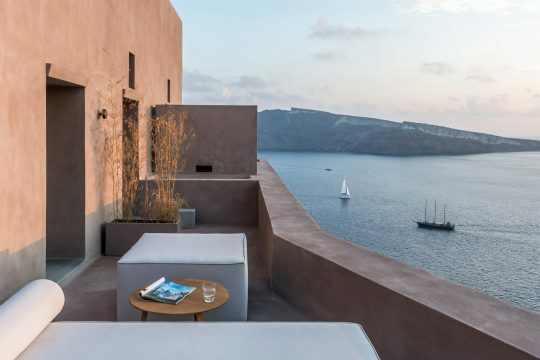 Architects Kostas Zouvelos and Kassiani Theodorakakou used the old texture of the masonry to create the impression of a building emerging from the rock, upon which it is founded. 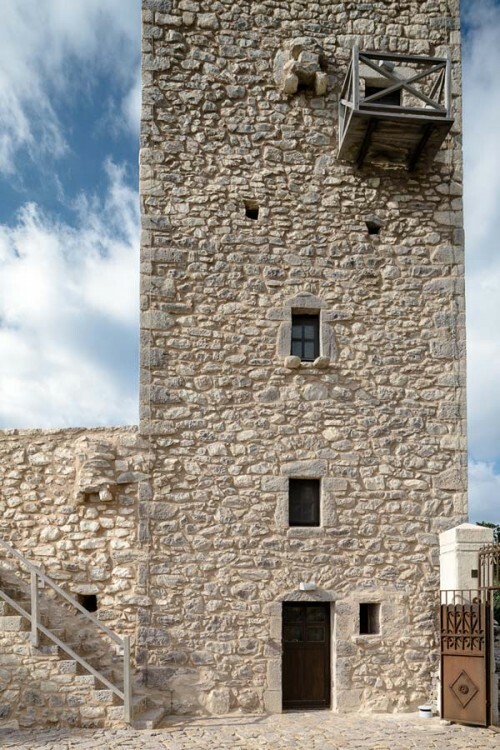 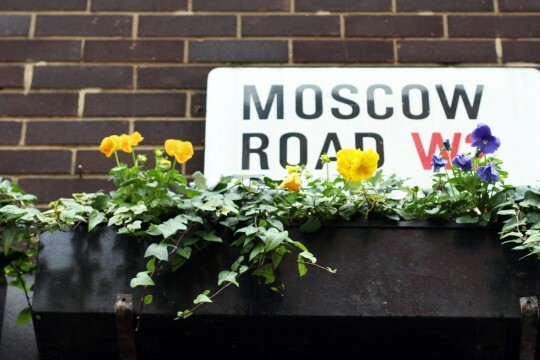 The grouting internally and externally was done using real ‘kourasani’ or Roman mortar (a combination of Theraic soil, ceramic powder, lime and a special shade of river sand) and minimum amount of cement, to enhance the static adequacy of the masonry and ensures durability. 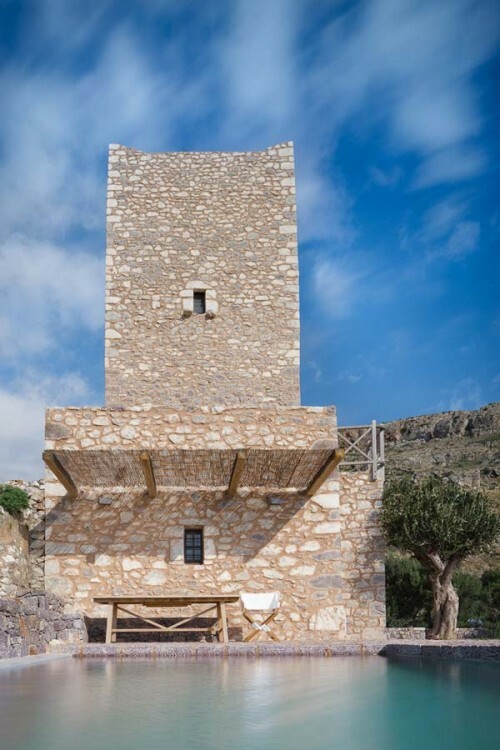 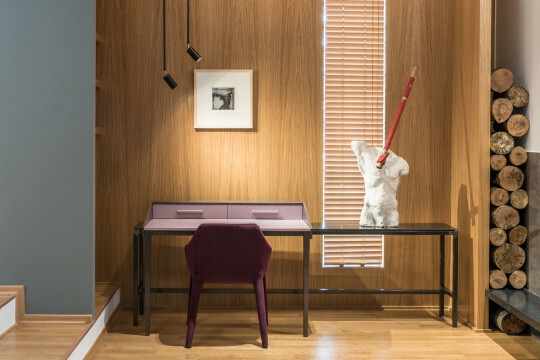 The conversion of the tower into a guest house had to overcome considerable difficulties, related to the need of balancing between meeting the regional architectural specifications and providing at the same time accommodation of a modern aesthetic. 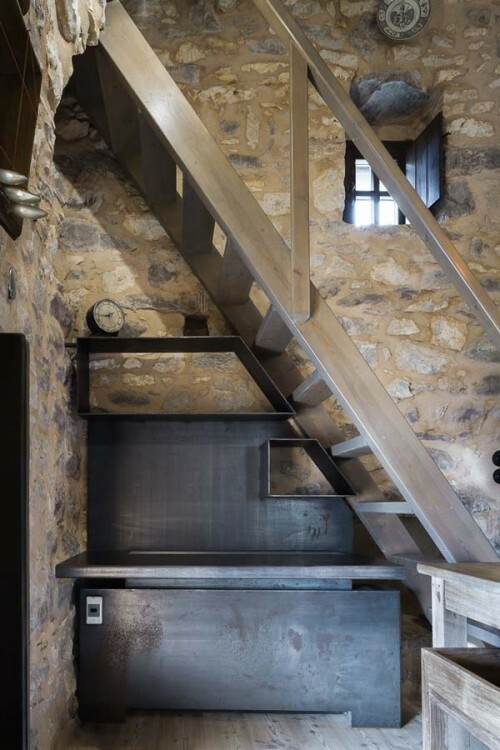 The four floors include three bedrooms with a bathroom and a shared kitchen, breakfast and reception space, and are organized along a vertical axis, allowing guests to have the unique experience of moving through narrow openings (‘waterfalls’), wooden stairs or rocks protruding from the walls and arches (‘steps’). 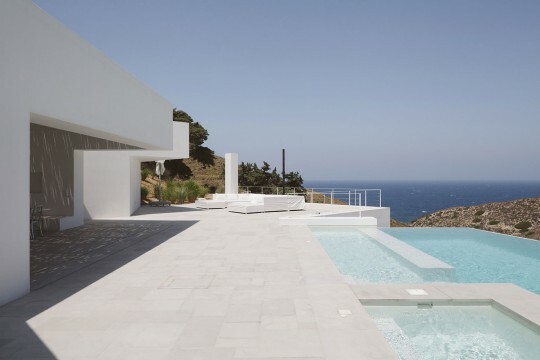 As the development of the exterior spaces had to ensure minimum interference with their surroundings, the addition of a water surface was made in a way that respects the given topography of the landscape.